If New York is the city that never sleeps, then New Orleans is the city that never sleeps hungry. 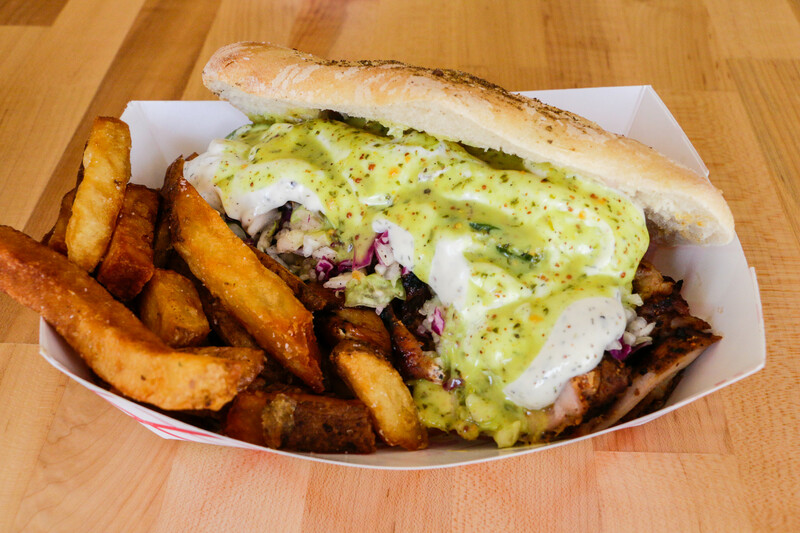 Kebab – For a late-night dinner, this St. Roch neighborhood restaurant is the talk of the town for their Greek, Middle Eastern, and Belgian delicacies. Try one of three kebab sandwiches, including vegetarian, with tzatziki and skhug sauce made from peppers, coriander and garlic, or their Greek salad with beets, feta, red onion, and a turmeric dressing. Everyone loves a good happy hour, and Kebab’s 10 p.m.-midnight features $1 off all wine, beer, ciders and cocktails, like the young Thai coconut spiked with rum and served in the husk. Delachaise – Ask anyone, and they’ll tell you that the goose fat fries from Delachaise are an appropriate thing to devour at any time of the day. But, for some reason, they always seem to taste better at night paired with a few glasses of wine or beer. Still, don’t shy away from other menu favorites, like the Johnny Cakes with smoked salmon and caviar, flank steak bruschetta, or any one of the always-impressive daily specials. There’s something magically addictive about this place, so don’t be surprised if you find yourself a frequent customer of this St. Charles Avenue hot spot, even in the daytime. Bouligny Tavern – When the clock strikes 12, head over to Bouligny Tavern on Magazine Street for a Teaticket Fizz and a sirloin burger with roasted tomatoes, arugula and aioli, or a big glass of red wine and bruschetta smeared with bone marrow and garlic. 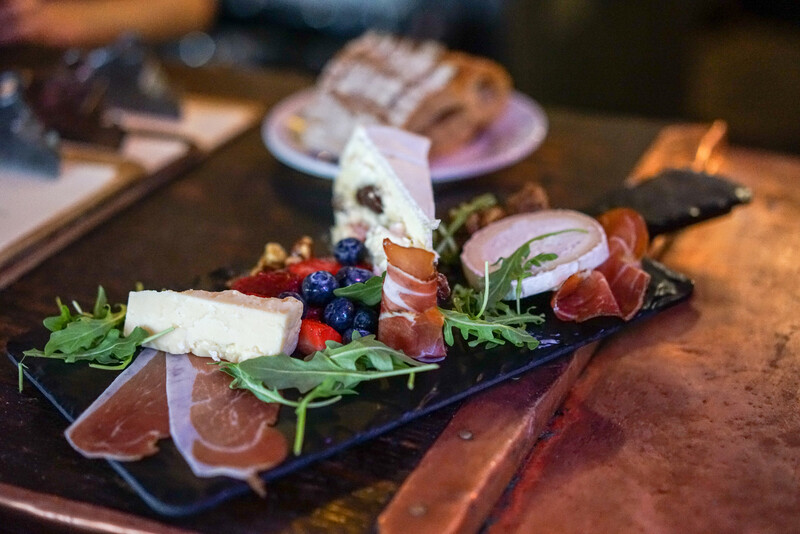 A well-curated wine list, available by the glass and bottle, in addition to unique cocktails, accentuate the upscale small plates available at this beloved neighborhood bar. 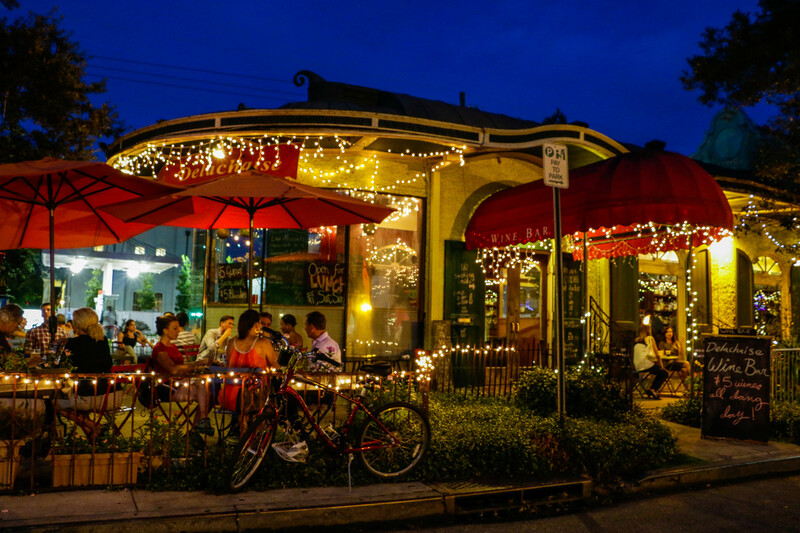 Dress up, grab a table or a seat on the patio, and see how swanky New Orleans late nights can be. Open Monday-Thursday, 4 p.m. – midnight, and Friday – Saturday, 4 p.m. – 2 a.m.
Saigon Slim’s – Part of the mobile food scene, this Vietnamese food truck is dishing out one ballin’ banh mi. Lemongrass chicken, pork or tofu comes piled on Dong Phuong bakery bread with pickled veggies, green onions, Fresno peppers, and cilantro with your choice of spicy or mild mayo. The General Slim’s chicken wings are deep-fried and tossed in a sweet sauce of soy, rice wine vinegar and sesame oil – order them without hesitation. Avenue Pub – For all you beautiful beer enthusiasts, a couple pints into the wee hours of the morning usually means the cravings will soon kick in. Avenue Pub is here to answer your prayers with a menu specifically crafted to accompany multiple brews. The “To Die for Fries” feature creamy béchamel sauce, and the St. James cheese plate comes with three cheeses, candied bacon, and beer mostardo. But it’s things like the Irish sausage sandwich with Crispin cider and onion gravy and Two Run Farms foie gras burger that makes the Pub way more than just a bar with food. Kitchen is open 11 a.m. – 4 a.m.
Mimi’s in the Marigny – Whether you’re down to see some live music or just looking to chill at a bar and enjoy some great tapas-style food, Mimi’s is your place. The music goes from 7-10 p.m., but the drinks and food go steady until the sun begins to rise. Don’t miss the mushroom Manchego toast, patatas bravas, or the lamb chops and marinated olives. For those more adventurous, order the “Trust Me” from the cold tapas menu and see what the chefs have in store for you. 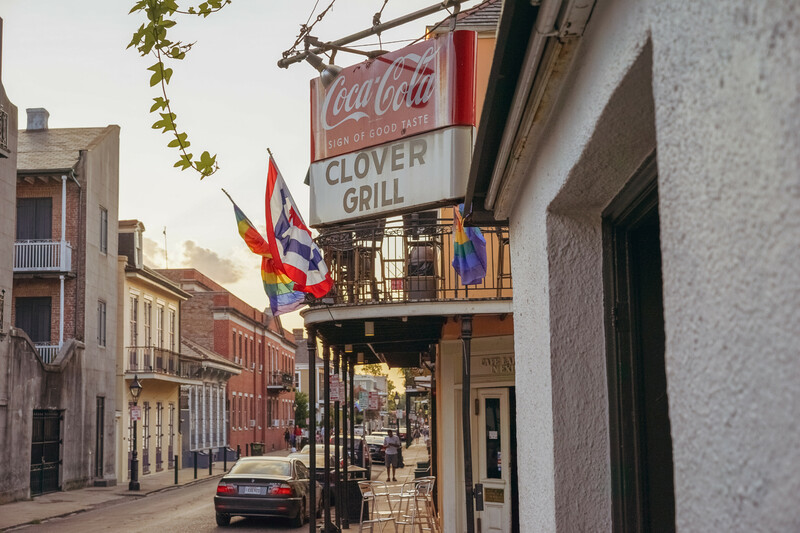 Kitchen is open Monday-Thursday, 3 p.m. – 4 a.m., and Friday-Sunday, 3 p.m. – 5 a.m.
Clover Grill – Sometimes, the best late-night eats are at the throwback places like Clover Grill, which has been feeding hungry French Quarter folk since 1939. If it’s past 4 a.m., perhaps the daily breakfast special with two eggs, bacon or sausage, hash browns or grits, and toast fits your fancy. And if you’ve been dancing extra hard all night, maybe a burger is best, with cheese and house-made chili. As their menu says, “If you are not served in 5 minutes, relax, it may be another 5. This is not New York City.” And aren’t we glad! 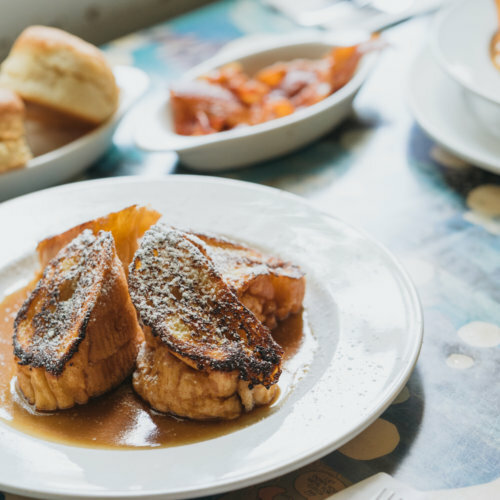 Buffa’s Bar and Restaurant – If birds are chirping and signs of daybreak are near, perhaps the time has come to enjoy a meal with some soul. At Buffa’s on Esplanade, you can have your choice of more than 50 menu options including shrimp and grits, burgers, red beans and rice, Belgian waffles, chicken wings and a deep fried chicken cordon blue sandwich with bacon. Weekend and Sunday brunch specials are also available in addition to the regular menu, which is served 24 hours a day, 7 days a week. 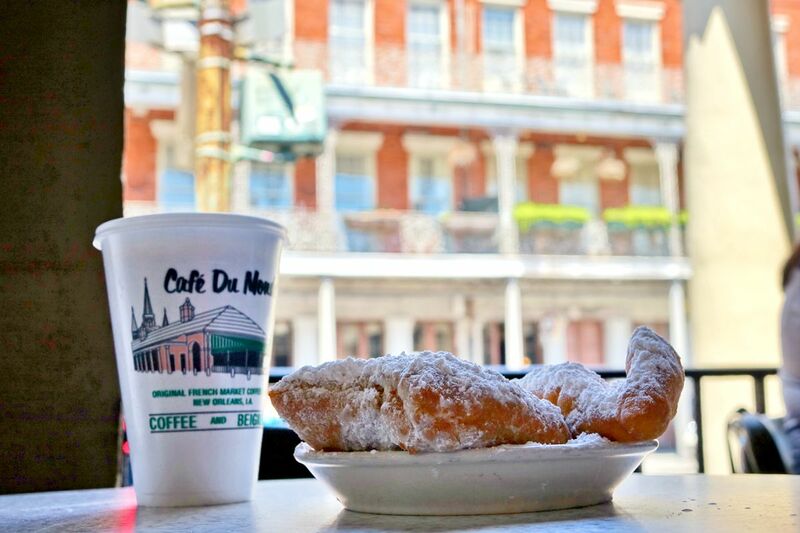 Café du Monde – If the sun is up and so are you, then the only answer for the ultimate in late night/early morning dining is the one and only Café du Monde. Their freshly fried beignets covered in powdered sugar can’t be beat. And the hot or iced café au lait with chicory will provide a much-needed jolt of caffeine. Tourists love them, locals love them, and kids and old folks love them. When late nights turn into early mornings, a trip to this coffee and beignet shop is the simplest answer and always the right choice.